(Fort Lauderdale, FL) – Bonnie Clearwater, NSU Art Museum Fort Lauderdale director and chief curator and Stanley Goodman, M.D., chairman of the Museum’s board of governors, are pleased to announce that Andrew M. Heller, Stephen B. Pierce and Walter Padow, M.D., have been named as new board members. 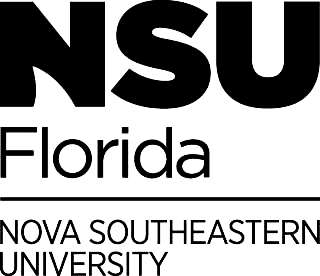 They join the NSU Art Museum Fort Lauderdale board of governors as the institution celebrates its 60th anniversary year and embarks on new initiatives in the areas of exhibitions, programming, membership and educational outreach. “We are delighted to welcome Andrew, Stephen and Walter to the Museum’s board of governors, and greatly appreciate their decades of collective experience in finance, business and philanthropy as well as their deep commitments to public service and passion for the arts,” said Stanley Goodman, M.D. Andrew M. Heller is the founder of Heller Capital Corporation which has provided funding for start-up companies and acquisitions in manufacturing, financial services, medical technology, real estate development and finance, and natural resource exploration and development. Mr. Heller is also Chairman of Putnam Precision Products, a contract manufacturer of high precision machined components for medical devices and other industries. He has been a member of the Board of Overseers of the Wharton School of the University of Pennsylvania for 11 years. Prior to that appointment he served as a member of the Wharton Graduate Advisory Board. He was also a former chair of the Wharton Annual Fund and was the chair of the Wharton Global Forum Miami 2017. He is a member of the Board of Directors of the Jack and Jill Children’s Center in Fort Lauderdale whose mission is to help break the cycle of poverty for children of high-need working families through quality childhood education and family programs. Stephen B. Pierce began his career at Morgan Guaranty Trust (later J.P. Morgan) where he worked in corporate finance and in the trust and investment department. He served as General Manager in Paris for the investment bank, Fahnstock and Co., secretary general for the manufacturing firm, Essilor, the world’s leading manufacturer of eyeglass lenses, and joined the American Chamber of Commerce in France to reorganize the oldest AmCham in the world. Following his retirement, he was recruited by the International Finance Corporation, a subsidiary of the World Bank to establish the Cambodian Microfinance Association. He also set up First Finance, a microfinance institution, which provides home mortgages for the poor who have no access to the traditional banking industry. His non-profit experience includes serving as chairman of The American Library in Paris, treasurer and board member of the Foundation de Etats-Unis, Paris, treasurer and board member of Hospital Foch, Paris, board member of the Amrita Performing Arts dance company in Cambodia, and vice president of Octuor de France, France’s leading chamber music organization. A resident of Fort Lauderdale, he serves on the board of the Florida Grand Opera. Walter Padow, M.D. is a retired physician and avid art collector. Along with his wife, Dr. Mildred Padow, he has amassed an exceptional collection of engravings, etchings, lithographs and woodcuts that spans five centuries and includes works by such artists as Rembrandt, Dürer, Goya, Picasso, Hopper and Whistler, as well as an extensive art reference library. Over 100 works from the couple’s collection were most recently on display in an exhibition at NSU Art Museum in 2016. Dr. Padow is a graduate of Duke University and attended medical school at the Medical College of Virginia, now Virginia Commonwealth University. He also served in the Air Force with a rank of Major.